The Unique Identification Authority of India (UIDAI) has reportedly mandated all the Union and State Ministries to inform the regulatory body regarding services, benefits, and subsidies which will now be accessed only using the unique identification number i.e Aadhaar, issued by the Government of India. According to an official statement, the letter also stated that if an individual does not have an Aadhaar number, he/she will not be denied benefits of any policy; but at the same time will be immediately enrolled in the programme which will issue him/her the Aadhaar number. The respective Ministry or State Government will then be required to issue the individual their Aadhaar number. UIDAI has also asked Ministries and States to list “alternate identity documents and verification methodologies” for citizens to avail the benefits of government services in the stipulated period of time required for him/her to be issued an Aadhaar number. According to the above-referred letter, if an applicant does not have an Aadhaar number, the responsible Ministry will be required to ensure that the individual can access Aadhaar enrollment facilities at convenient locations. “In case, there are no existing enrolment facilities nearby, they (Ministries or State agencies) are required to become UIDAI registrars so that they can set up enrolment facilities themselves. 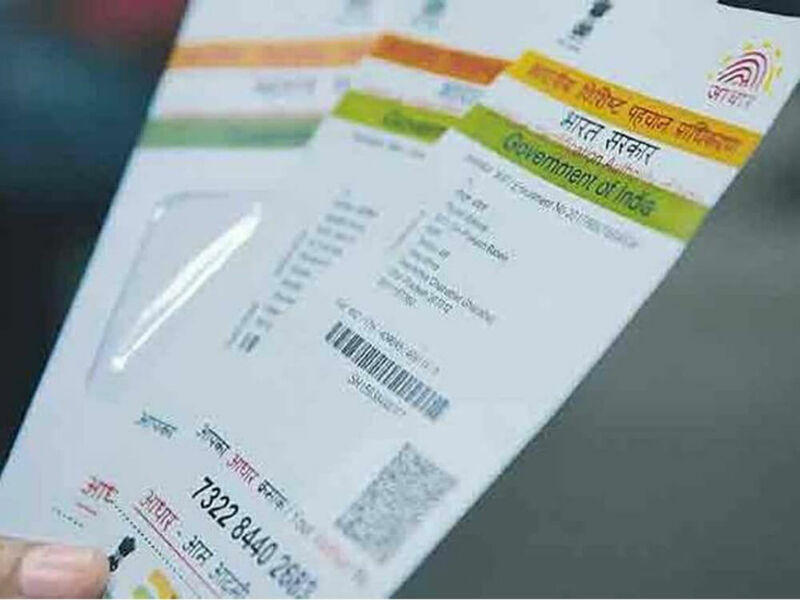 UIDAI has already empowered several ministries and states or the agencies under their jurisdictions to become its registrar and undertake enrolment of their beneficiaries who are not enrolled for Aadhaar,” the letter stated. Government has been actively pursuing the project of issuing and syncing Aadhaar with various services and policies in the country. To further that aim, the Indian Railways has mandated Aadhaar card for booking train tickets throughout the country. Aadhaar card has already been linked with LPG and passport services. The Government has also laid down a new set of rules and regulations to ensure data security and privacy for the Aadhaar project. Earlier this month, Noida-based mcommerce company Paytm also introduced Aadhaar-based eKYC(electronic Know Your Customer) to make customer verification a real-time, paperless process.